24 songs, 2CD set, slimline box, 8 page booklet. 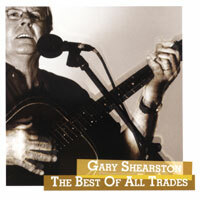 Songs from the heart of one of Australia's most honest observers of the human spirit... this 2-CD set brings together Gary's most recent songwriting (and a couple of older songs revisited) with a skilfully pared-down sound featuring the evocative and sympathetic guitar work of David Hume: "gives the songs an engaging intimacy, reminiscent of his early recordings, as well as a fresh energy..." (Jim Low/Simply Australia). and CX-3 on "A Song For John Baker"
Jorden Brebach - atmospheric guitar on "Tenterfield"
Mixed by Jordan Brebach at The Orange Room.